AIR SPRING An air spring is used to achieve maximum performance as well as saving weight over using a steel coil spring. With air you can achieve an infinitely adjustable spring rate that feel much more natural and sensitive than a traditional fork. 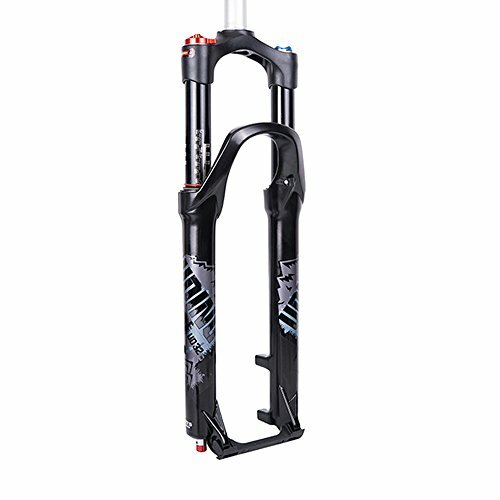 REBOUND ADJUSTMENT A hydraulic adjustable cartridge that lets you externally set the forks rebound. COMPRESSION REBOUND DAMPING SYSTEM Fully adjustable hydraulic compression damping with lock-out, as well as externally adjustable rebound. 1.5" CROWN AVAILABLE Forks available with 1.5" crown, which available with 1.5" taper or 1.5" straight steerer. POST DISC BRAKE MOUNT Forks with post disc brake mount.